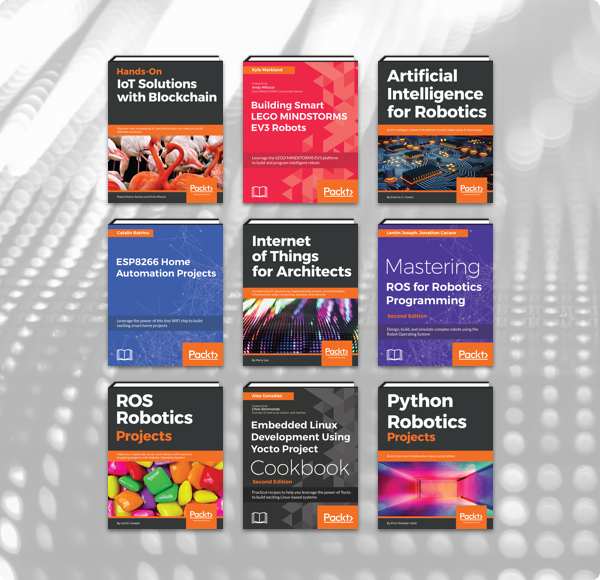 The Humble Book Bundle: Robotics & IoT by Packt just launched on Monday, February 11 at 11 a.m. Pacific time! Get ebooks like Learn Raspberry Pi, Hands-On IoT Solutions with Blockchain, Internet of Things with Python and Raspberry Pi, Python Robotics Projects, ROS Robotics Projects, Internet of Things for Architects, and more. Plus, bundle purchases will support a charity of your choice!